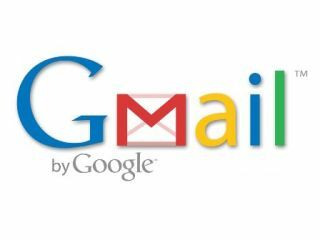 The Iranian government has suspended Google gmail as it prepares its own national email service for Iranians. The news comes as thousands of pro-government Iranians rally to mark the 31st anniversary of the Islamic Revolution in the country, withPresident Mahmoud Ahmadinejad addressing the crowds live on Iranian TV. Amidst reports of demonstrations in Tehran and Tabriz, with BBC Tehran correspondent Jon Leyne claiming that there could be the largest confrontation since the disputed election last June, the news that the Iranian government is suspending Gmail may well be lost in the noise. However, the Wall Street Journal reports that the Iranian telecommunications agency will soon roll-out its new e-mail service, with the announcement first reported on the Web site of the Iranian Labour News Agency – who are aligned with the reformist (former President) Mohammad Hashemi Rafsanjani, a reformist - although the material was soon pulled off the site. "We have heard from users in Iran that they are having trouble accessing Gmail," a Google spokesman told CNN. "We can confirm a sharp drop in traffic, and we have looked at our own networks and found that they are working properly." "Whenever we encounter blocks in our services we try to resolve them as quickly as possibly because we strongly believe that people everywhere should have the ability to communicate freely online," the spokesman added. "Sadly, sometimes it is not within our control." Iranians have reported Gmail services being down for several days.